I've said it before but I really thought Italy would be warmer. Well, just to show me, it snowed this week (la neve means snow in Italian). 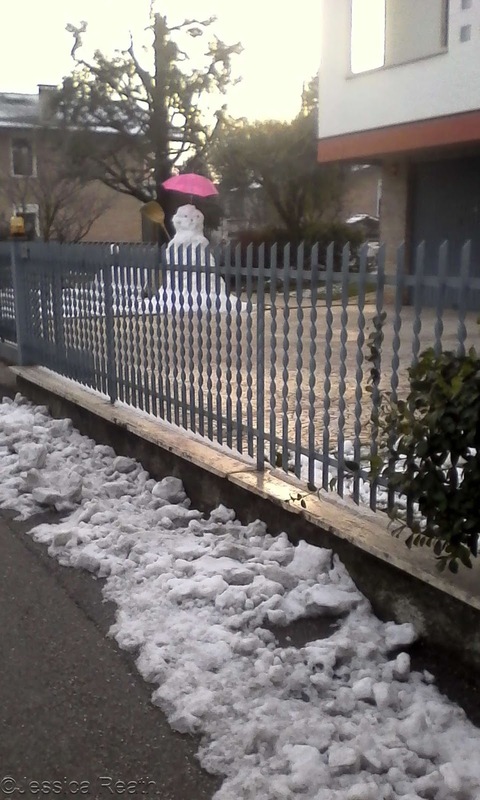 Not a lot but still...snow in dang Italy (not in the mountains)! I was not amused...even if it was pretty as long as you didn't look at the roads! I love how the big pine tree creates such a canopy that it essentially didn't snow at all on part of the yard. Someone down the street had fun. I hope we're done with "winter" weather! How do you feel about snow? I am a true CA girl and snow is so foreign to me. I like it, in theory, but doubt I have the gumption to actually live in it.